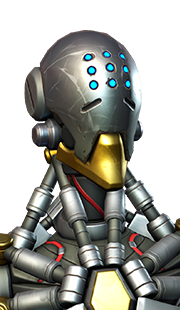 Pharah is an offensive hero who uses her trusty Rocket Launcher to blow up enemies from the skies. Although a straightforward character, Pharah's mobility and her projectile dps is tricky to master. 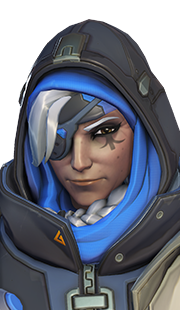 As with any hero, becoming a master of Pharah's abilities takes a lot of practice, but this trial and error can pay dividends on a player's skill rating. 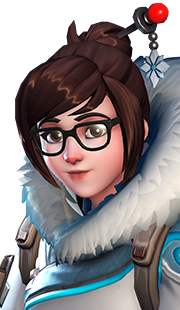 Pharah has one of the best vertical movement abilities in the game, which is called Jump Jet. 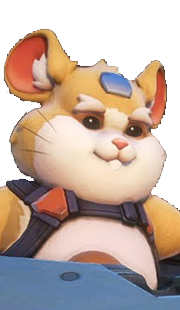 Similar to Winston's Jump Pack, Jump Jet launches Pharah high into the air in a matter of seconds, helping her scout out enemies and reign terror from above. 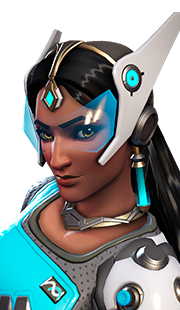 Once Pharah is in the air, she can use her passive ability, Hover Jets, to remain among the clouds. When compared to Jump Jet, Hover Jets is a more sustainable way to stay above the fray, but the upward momentum of Hover Jets is only a fraction of Jump Jet's launch. Therefore, when used, Hover Jets is more of a small boost upwards rather than a swift rise. 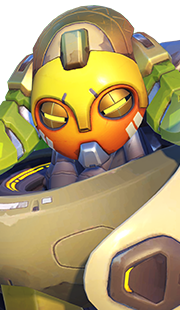 One of the more interesting parts of Pharah's kit, Concussive Blast is a crowd control ability that can be used to push enemies away or towards a specific area on the map. 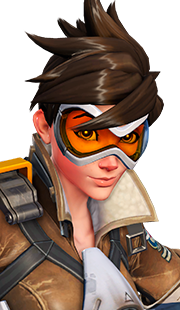 Additionally, Concussive Blast can be used in conjunction with Pharah's other mobility abilities to send her careening across the skies. Either use is a helpful tool when used correctly. Last, but not certainly not least, we have Pharah's Barrage. 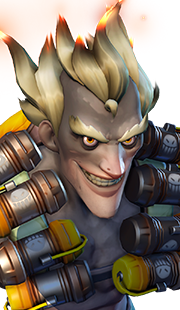 Barrage is an extremely high projectile dps ultimate that bursts down practically any hero it is directed at. 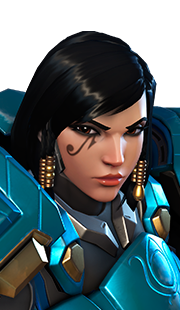 Although the ultimate deals loads of damage, Pharah must remember that once the ability is used, she will be stationary in that position for three seconds. 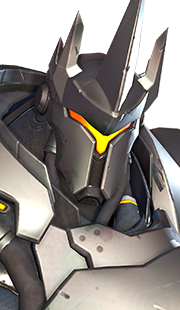 Therefore, a bad use of Barrage can cost Pharah more than a wasted ultimate. 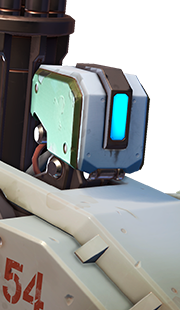 Players can deal extremely high damage, especially when scoring direct hits with Rocket Launcher. Players have a large amount of mobility. Players can scout out the enemy team's movements and warn allies. 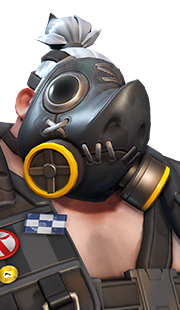 Players are seemingly impervious to enemies who have no long range damage. Players can attack enemies from various angles due to flight abilities. Pharah's playstyle is simple in concept. Rocket Launcher is heavily countered by enemy barriers. 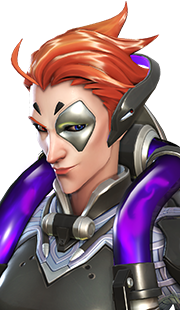 Jump Jet may leave Pharah exposed to enemy attacks and make it difficult for her allies to heal her. 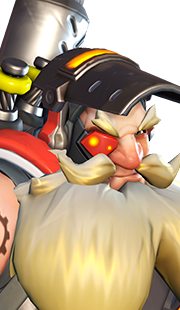 Using a projectile dps hero means players must expertly anticipate enemy movements to be effective. Bad Pharahs can single-handedly lose games. Pharah is hard to master. Pharah works best with allies who can keep her alive or follow up her damage. 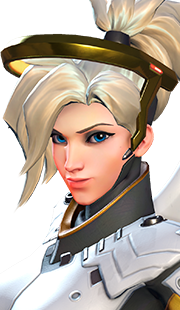 For this reason, Mercy is one of the best allies for Pharah as she can use her Caduceus Staff to heal Pharah when she takes damage, or help Pharah dish out damage with its damage-boosting effect. 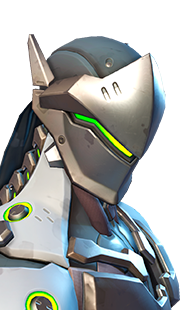 Genji can follow up Pharah's damage no matter where the enemy is thanks to his Cyber-Agility, and Swift Strike is an easy clean up ability that works well against enemies who are low from direct Rocket Launcher hits. 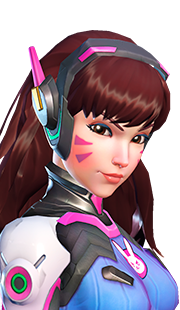 Similarly, D.Va is a fantastic tank that pairs well with Pharah as she can use her Boosters to either protect Pharah with Defense Matrix, or attack enemies who are low from Pharah's rockets. 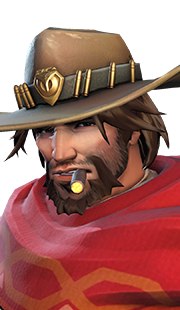 Pharah is typically countered by long-range weapons that deal massive burst damage. 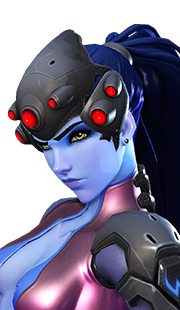 For this reason, a practiced Widowmaker is easily one of the best counters available. 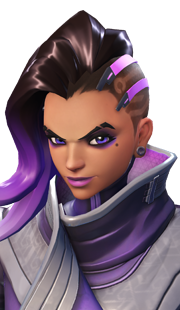 Against a sharp Widowmaker, Pharah will either have to stay grounded in order to stay out of Widow's sights, or she runs the risk of getting instantly killed by Widow's Kiss. 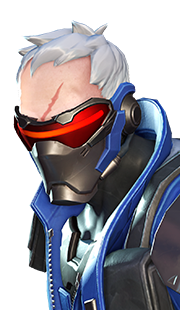 In a similar vein, Hanzo's Storm Bow is a strong Pharah-deterrent, as it too can instantly kill the flying soldier. 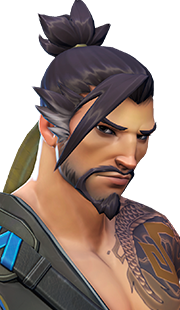 If Hanzo lands a body shot, he can simply follow up his own shot with Storm Arrows to secure the kill. 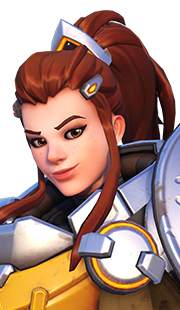 D.Va is a hard counter to Pharah for other reasons. 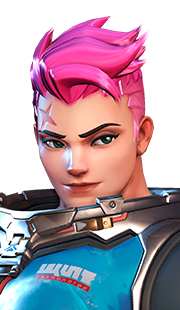 She can erase all of Pharah's rockets with her Defense Matrix; and she can use her Boosters to attack Pharah or run into her while she uses Barrage (having the potential to make Pharah kill herself with her own missiles). 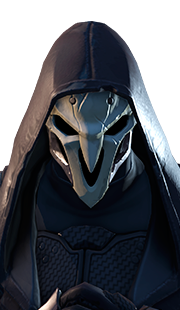 Pharah is strong against heroes who are grounded and rely on securing picks on the enemy to perform their duties. Winston is heavily countered by Pharah since his "monkey business" cannot typically reach Pharah while she is in mid-air. 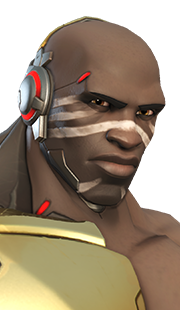 Doomfist thrives on securing picks on enemy players, but Pharah's Concussive Blast keeps Doomfist away from her team, easily breaking his damage-dealing combos. 29 May 2018 (this page): Guide updated and moved to new format. 06 Jul. 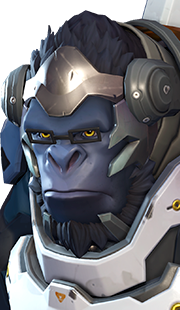 2016 (this page): Fixed an issue where we were incorrectly referring to Jump Jet as Jump Pack (Winston's ability). 23 May 2016 (this page): Removed a tip for using Hover along slanted rooftops, since the technique had been removed during a Beta patch. 22 May 2016 (this page): Updated the guide following michr's review. 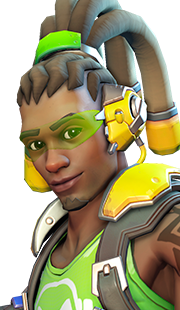 Added Strength that Pharah can dictate her range of enganement. Added that tapping Hover results in more air time than simply holding it down. 17 Apr. 2016 (this page): Guide added.